Internal use covers incorporate rubber or double seals to prevent odours entering the property. They are recessed to take screed infill and can then be tiled or filled with a vinyl floor covering in order to make the manhole cover more discrete. 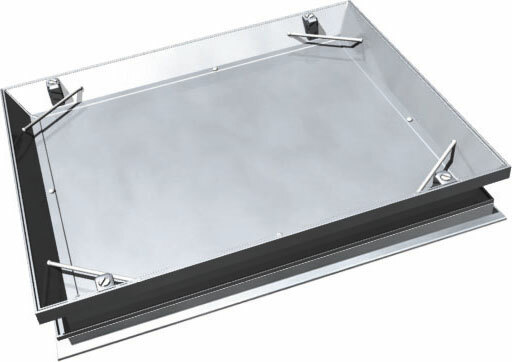 We keep a standard range of galvanised steel covers in stock but can make any size to suit. We can also offer decorative edges in brass, stainless steel or aluminium to give a more aesthetic appearance. For covers going in more demanding environments or food preparation areas we can construct the entire cover from stainless steel.